Food | Fit Girl. Happy Girl. After months of training, I am now three days away from running my first ever half marathon. I can’t believe how fast it has come but I feel so confident in my training and ready to run happy. However, one of my biggest concerns this past week has been how to fuel my body before the race. I asked some friends and sought advice from Runner’s World and Active.com and the one major take away from everything- don’t change anything. I’ve known this all along, the worst time to try something new is on race day but I have a problem. In my training thus far, I really haven’t had much to eat on long-run days besides a cup of coffee and some water. Even when I did my 14-miler, the only thing I ate beforehand was a pack of Chomps and Gatorade. However, I have fueled before some smaller races before with a slice of whole grain toast, some fruit (usually strawberries or oranges) and some coffee. This has always been a pretty good pre-race meal to me so I think I’m going to stick to this for the half as well. After further research however, I had questions like, how much time should I leave between breakfast and start time. The answer I found from Runner’s World was at least two to three hours before. Although this will mean a very early morning for me (the race starts at 8 a.m. but I’ll have to be there at 7 a.m. and it’s an hour away) but it will allot enough time for digestion so I can start feeling nourished but not full and heavy. According to the Runner’s World article as well I should sip water up to a half and hour before the race starts, this way I’ll be hydrated but not over-hydrated and have to stop at a port-a-pottie along the course. Since I’ve basically already decided on doing my toast-fruit-coffee routine, I’m not planning on trying anything different but I’m interested in why this has worked for me in the past? According to an Active.com article, a solid pre-race meal should consist of 80 percent carbohydrates. The article said the type of carbs isn’t as important but many runners, like myself, tend to choose more bland foods like a whole grain toast or some runners like oatmeal. Bagel or toast topped with either peanut butter or a low-fat spread– many people eat this for breakfast routinely so it’s always good to stick to routine come race morning. Also, bagels and toast are chalk-full of carbs which are needed for fuel during a race. Bananas– lots of runners love bananas as an addition to any pre-race meal (personally, I hate bananas so I can’t speak to this very much) but they have 30 grams of carbohydrates, low in fat and high in potassium which is lost while sweating during running. Energy Bar– a lot of runners eat energy bars before a race but this is something you really have to be careful with in terms of not trying anything new. Stick to a bar you know that’s rich in carbohydrates but not too high in fat or protein (save those bars for after the race). Shakes– there are a lot of runners who like to make a real-replacement shake before a race. I’ve never tried this but there are tons of recipes out there for these kinds of shakes. Oatmeal– this is another good fuel-boosting carbohydrate option. It’s bland but won’t upset your stomach while racing. I would also recommend drinking some kind of caffeine if you’re a frequent morning caffeine-drinker. I have coffee every morning so I try not to change this on race day but sometimes I’ll opt for caffeinated tea on race day instead of coffee (because I like cream in my coffee and that can be weird). As always, DON’T try anything new on race day. A poorly picked pre-race meal could possibly wipe out all of those months of training and preparation. Stick to what you know, race hard and look forward to that amazing post-race meal! What is your go-to pre-race breakfast fuel? Share your thoughts with me in the comments section below! Ingredients and the finished product! My sister likes to called loaded omelettes, bombelettes because they are ‘da bomb. 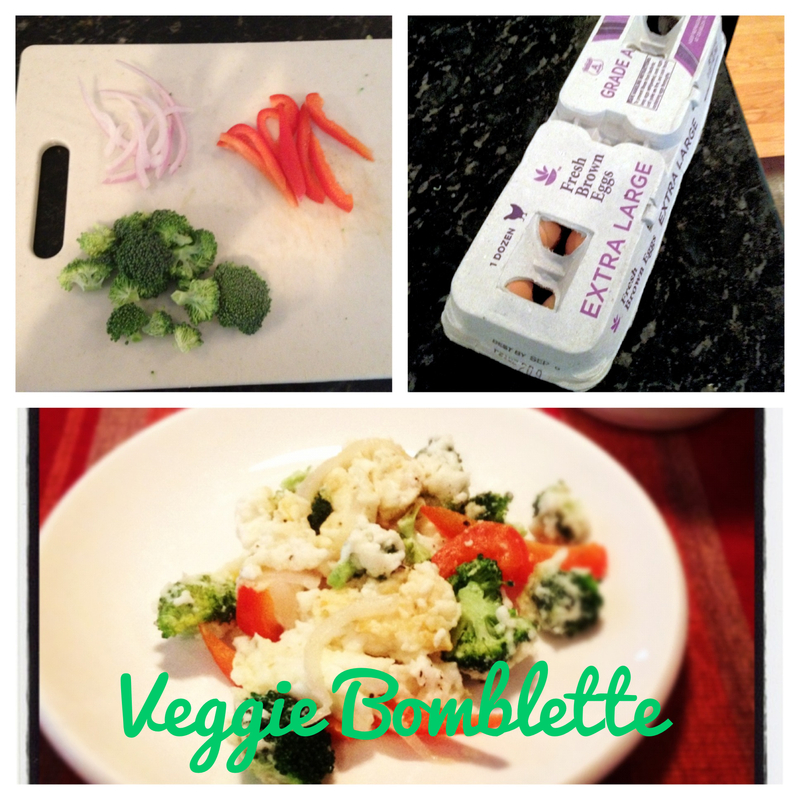 So, in her honor, I’m naming my veggie packed omelette from last weekend the veggie bombelette. 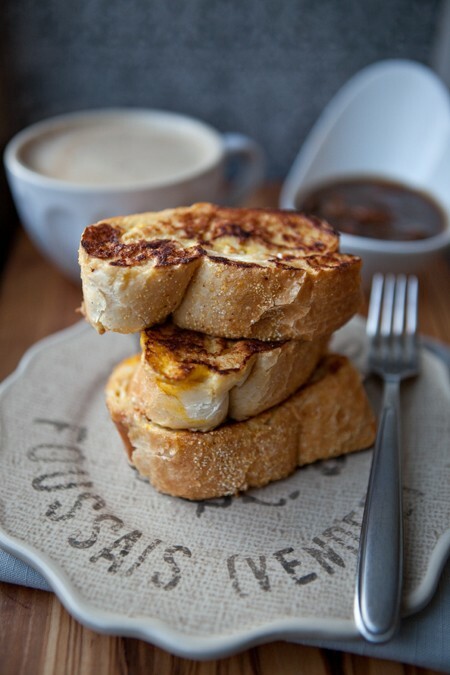 This recipe is super easy and paired with some whole grain toast, will give you a great nutritional meal to start off your day. The steps are also easy. After separating your egg whites, I like to add a dash of milk (who doesn’t need more calcium?) and after chopping up your veggies, spray a frying pan with fat-free cooking spray so nothing sticks to the pan. Then, add your veggies so they can roast a little before adding the egg. Once the veggies are a little softer, pour the egg white mixture over the veggies and swish it around the pan so it’s evenly distributed. Turn the heat down to medium/medium-high. Sprinkle some cheese onto the egg and then fold the egg over to make an omelette. I failed on this part a bit so mine turned into more of a veggie scramble, but that’s fine too. The protein and calcium you get from eggs is so important for your muscles for running and the veggies add fiber which is packed with health benefits. This is probably too much to eat before a morning run but is perfect for some post-run nutrition. I hope you enjoy, bon appetit! When I started this blog I wanted to focus on advice for living a healthy and active lifestyle. That included posts about workouts, running, stretches, getting outdoors and the like. What I’ve totally been slacking on is the diet portion of a well-rounded healthy lifestyle! Oops! Whether you are trying to lose weight, boost your metabolism, eat cleaner or just eat healthy, fresh foods, it’s important to keep your meal balanced and colorful. Eating healthy foods will give you more energy to push through those tough runs or grueling workouts. 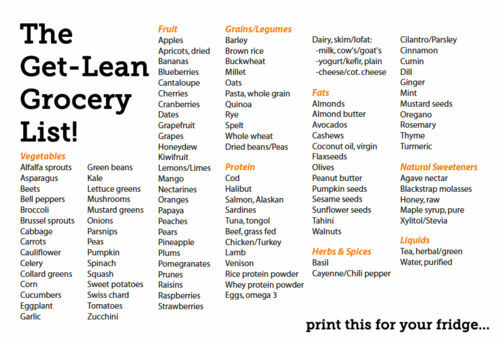 Here’s a quick grocery list to jumpstart your new eating habits.